The benefits of awnings go far beyond aesthetic appeal. 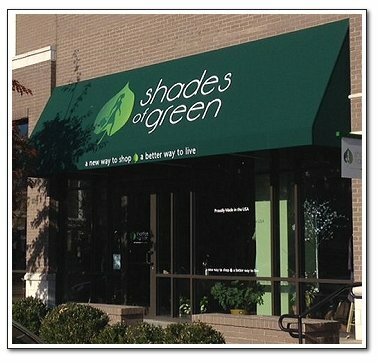 Awnings add dimension, shape, and color and can truly enhance the overall look of any home or business. If you've been thinking about an addition to your home, a canopy over an existing deck or patio can offer a long-term solution for extra space at a much lower cost. Energy savings is another big "plus" when it comes to awnings! Fabric awnings can reduce heat gain significantly when they shade traditional glass windows. You'll want to consider all angles when selecting an awning. Style, venting and color selection all affect the energy saving performance of the awning. It's important to select a style that will accommodate how much the sun penetrates the windows. For northern and southern exposure, sides may need to be added to the awnings for additional protection. For eastern and western facing windows, less protection is necessary. The awning design creates more air circulation to dissipate heat build-up. Select a shape that best suits the windows being protected. Color choice and types of material are important energy-saving considerations. Awnings with low solar-absorbing surfaces (white) maintain temperatures closer to the outdoor air temperature. Dark-colored awnings may need to be vented to reduce radiation and heat build-up underneath the awning.